Looking for a more natural wig cut? Come to Wigs Wigs Wigs Salon in Broken Arrow, OK. We are licensed and insured to carry all wig products, wig accessories, scarves, hats, and jewelry. 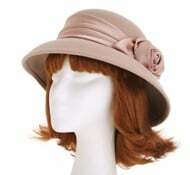 We even offer our own brand of wigs with a special package discount for groups. Stop by the store today to view our full selection of items to help enhance your own, natural beauty. We are more than happy to answer any questions you may have.